Hi all! 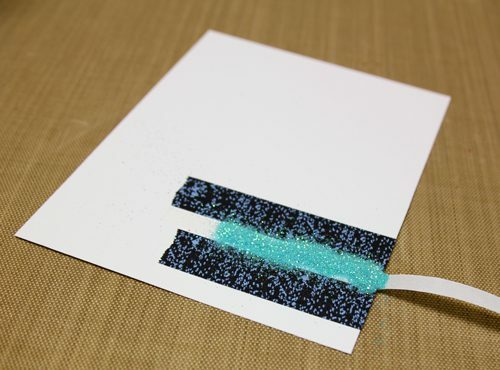 Tami Mayberry here with you today to share a quick and easy card you can create using your Scrapbook Adhesives by 3L® products. 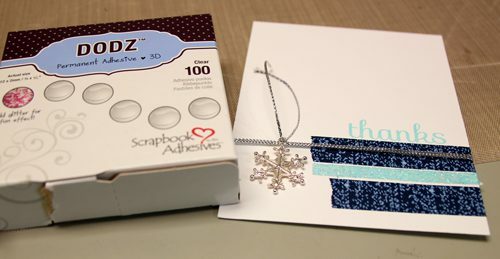 While this card has a winter/thank you theme, the colors and sentiments can easily be changed to fit any occasion. Keep reading to see just how easy it can be! 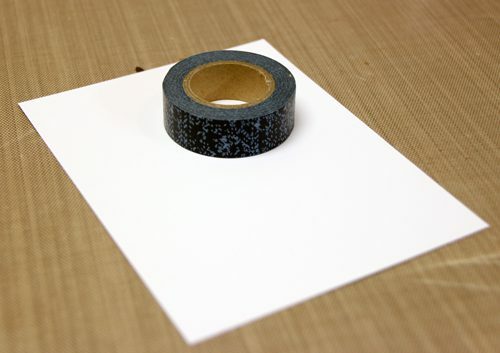 Form a 4 ¼ x 5 ½-inch card from navy cardstock. Cut a panel slightly smaller than card front from white cardstock. 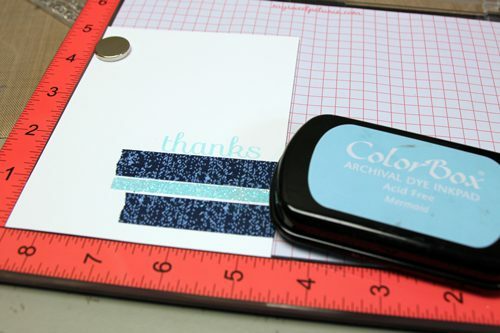 Attach two pieces of Denim washi tape to panel as shown. 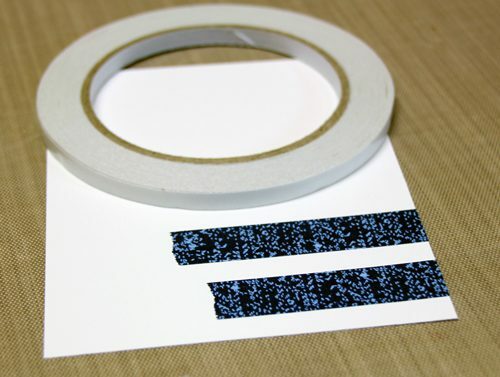 Attach a piece of Premium Double-Sided Tape 1/4″ between strips. Peel off backing; sprinkle with glitter and burnish to set. Wrap panel with silver thread. Tie snowflake charm to thread; secure in place with Dodz Adhesive Dots 3D. Attach panel to card front using 3D Foam Squares White Regular. This entry was posted in 3D Foam Squares, Adhesive Dots & Lines, Adhesives, Cards, Crafts & Tutorials, HomeHobby by 3L, Premium Double-Sided Tapes, Seasonal Craft Ideas, Tutorial, Wear your Adhesive on the Outside, Winter and tagged 3D Foam Squares Mix White, 3D Foam Squares Regular White, Adhesive Dots 3D, Buttons Galore & More, Card, Clearsnap, Glitter, Guest Blogger, My Sweet Petunia, Premium Double-Sided Tape 1/4", Simon Says Stamp, Tami Mayberry, Tutorial, Wear Your Adhesive on the Outside. Bookmark the permalink. One Response to "Snowflake Thanks Card with Washi Tape Accents"